We are getting started on the next phases of our project, the Climate Solutions Speaker Series where we are providing three different sessions/seminars dedicated to implementing climate solutions at the Presidio; those projects that are ongoing now, those that are in design and past the proof of concept phase and the last workshop on how to strategize for climate resilience over the long term. The Governors sub-national effort (different than the UN/COP structure) will be at the Moscone Center on Thursday and Friday, the 13th and 14th. We have the Presidio Officers Club reserved for Weds Sept 12 – 6-8:30 which is being provided by the Presidio Trust to our group. We also have the upstairs banquet space at the Officers Club, the Ortega room, for all of Friday for two sessions, morning and afternoon. The first workshop on Weds will be free, the other two will be ticketed. 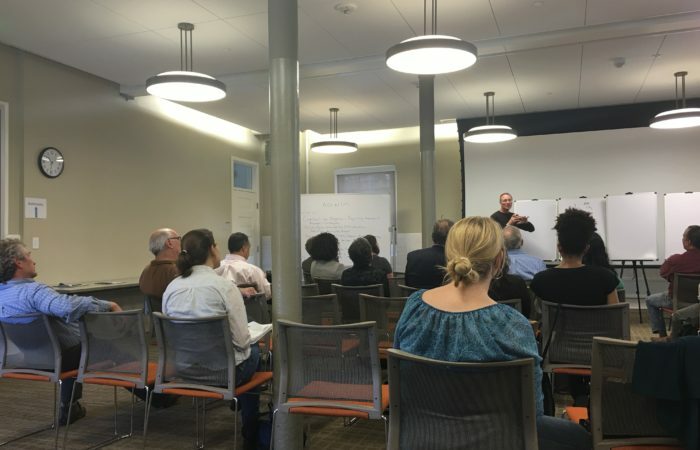 The intent is to provide content and emergent ideas to those folks in town from other regions and nations to see what successes are currently happening in the Bay Area and discuss other strategies not yet adopted.